Clarence began his career with GoodWork Staffing as a Territory Sales Manager for the Charlotte office. In 2014, he was promoted to Area Manager for all locations of GoodWork Staffing. He began his career in the staffing industry in 1992 when he was offered a position as a Staffing Coordinator for a staffing firm in Silver Spring, Maryland. His commitment and determination to succeed ultimately led to him becoming the Vice President and a partner in the firm within four years. 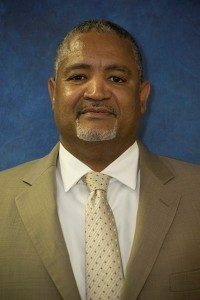 Clarence relocated to Charlotte in 2007, where he held managerial positions for both a regional and national staffing firm, where he was responsible for training and mentoring staff, and driving branch office profitability. Prior to joining the staffing world, Clarence worked in the insurance industry, and was a commissioned officer in the United States Army Reserve. Clarence is a 1987 graduate of the Virginia Military Institute in Lexington, Virginia, where he was a member of the varsity basketball team for four years. For fun, Clarence is active in sports as a participant, spectator and coach. He also loves to socialize with family and friends.